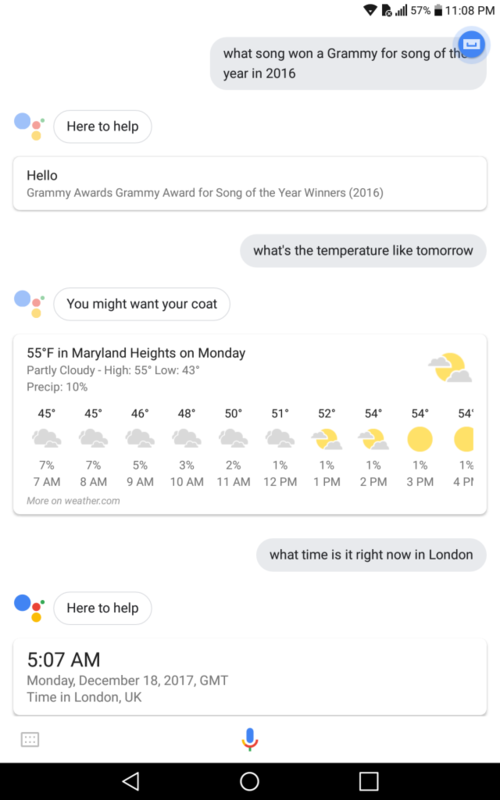 Google launched their Google Assistant app for their Pixel phones back in October 2016, and then slowly rolled out support for the app to other Android phones running Nougat (7.0) and later Marshmallow (6.0). They hadn’t talked much about support for Android tablets, but a few days ago, Google announced that Android tablets running Android 6 and 7 will get the Assistant app. Google app – requires version 6.13 or higher. If your tablet has an older version, just visit the Google Play store and update to the latest version of the Google app. Google Play Services – Must be installed. If it isn’t just download from the Google Play Store. If a tablet meets the above requirements, then the Google Assistant app can be activated by opening the Google app, tap the Menu icon (three horizontal bars), go into Settings, then under the Google Assistant section, turn it on. For more information about Google Assistant requirements on a tablet and how to enable it, visit Google’s help page for the Google Assistant.